To big people the tiny statue of a boy weeing may seem underwhelming, but to a pack of children the amusement seems practically endless. Here he is in all his glory - there is even a museum around the corner that shows all the outfits he has worn over the years. 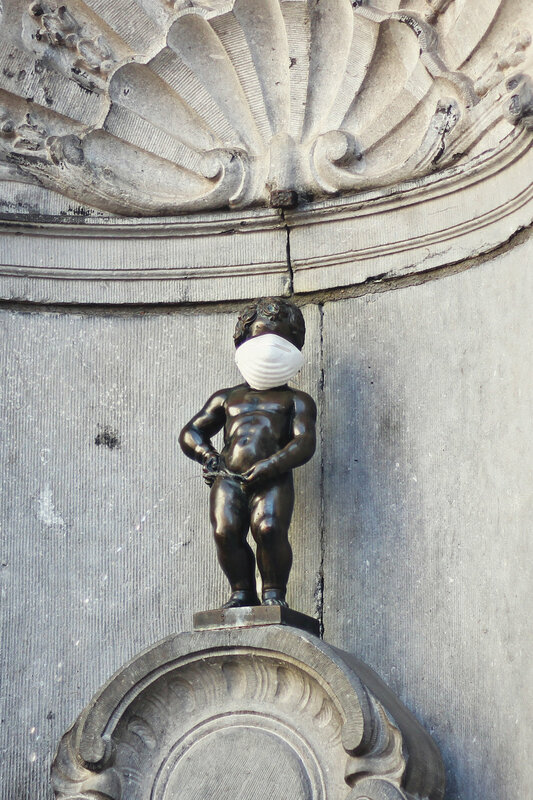 While we were watching him wee someone jumped over the barrier and placed a mask on him and a sign reading ‘let Brussels breathe’ which only added to the excitement around the statue. It also led to an interesting chat about positive demonstrations and the grey area between right and wrong - but enough of this adult talk. Now on to the waffles! Tintin, Asterix and the Smurfs all hail from Belgium along with lots of other native characters to celebrate. We headed to MOOF (Museum of Original Figurines) to take a closer look. You can chill out and watch Tintin films in the cinema here. 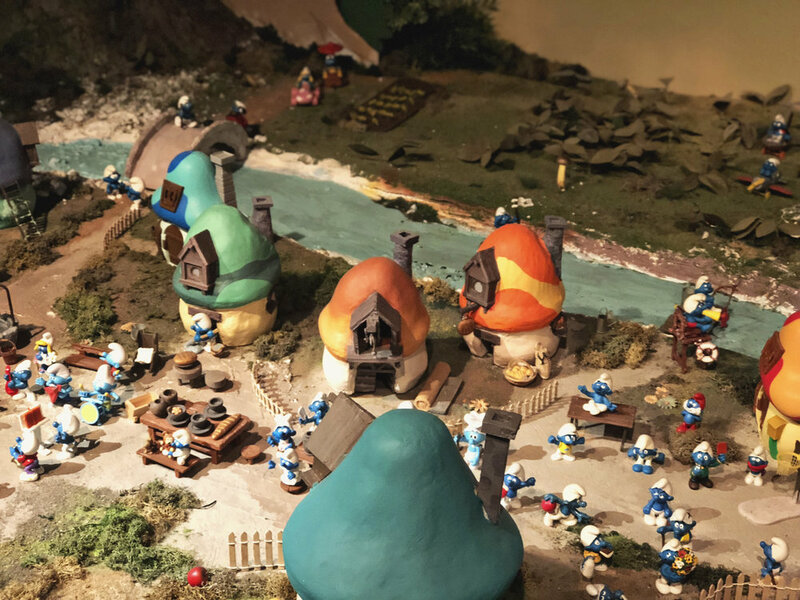 There is also a replica of Smurf village which we spent ages playing ‘Can you see a……’, there are thousands of figurines to see and information on all the creators behind them and to top it off outside is an enormous Smurf statue. 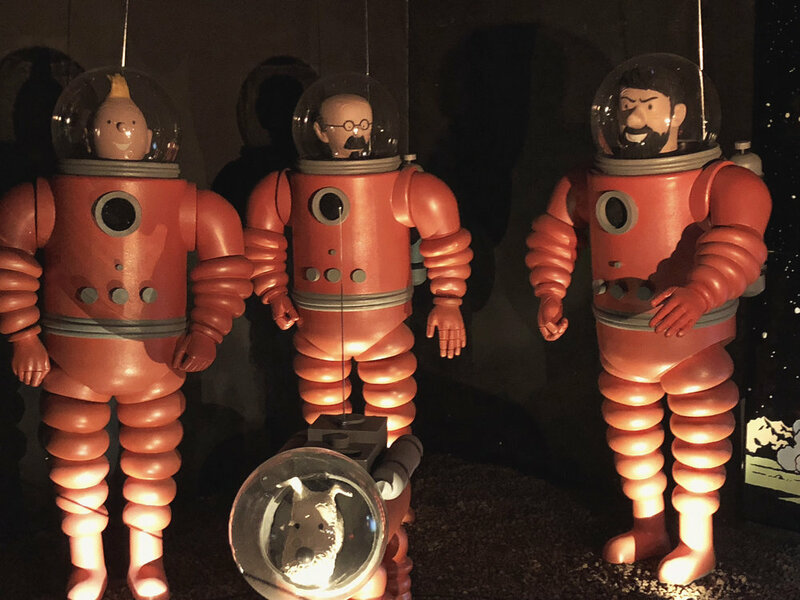 This museum is not just for children, I think anyone who grew up with a love of cartoons would appreciate it. 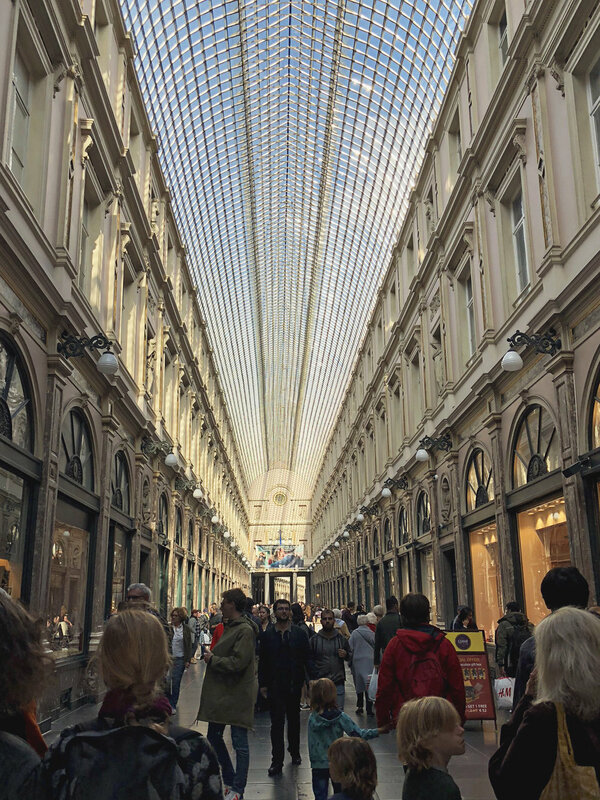 Now on to the chocolates of which there are also endless shops all over the city with some very fancy ones in Les Galeries Royales Saint-Hubert. I would like to have done some extensive research on these but I didn’t know where to start and the children have rather primitive taste in chocolate preferring chocolate coins to praline. Everywhere you look are mountains of chocolates, brittle and macarons - you will have to conduct your own research. We had a cone of frites each with garlic mayonnaise and all agreed they were the best fries we had ever eaten (and we have sampled a fair few in our time). 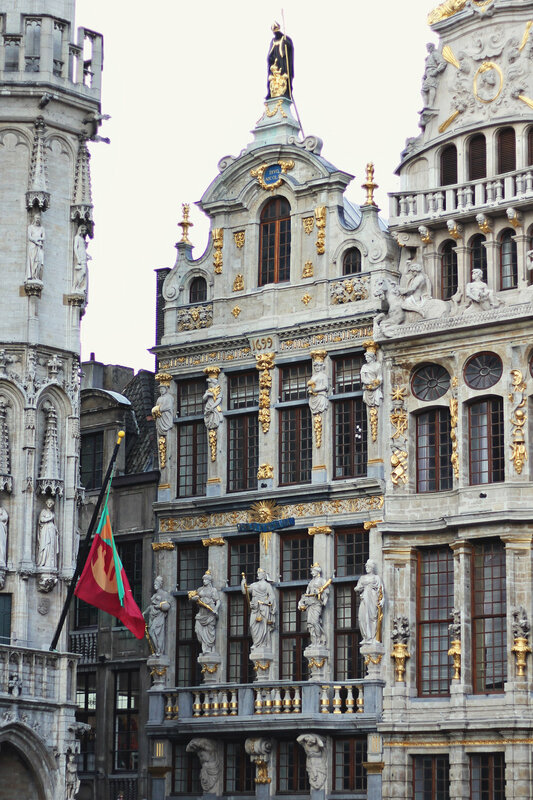 They were made even better for eating them in the Grand-Place whilst staring up at the beautiful buildings that covered all four sides of the square. This is a UNESCO world heritage site and you need to sit and stare to really appreciate the beauty of the buildings that flank you. On to more comic book fun at the Comic Strip Center which is definitely worth a trip. 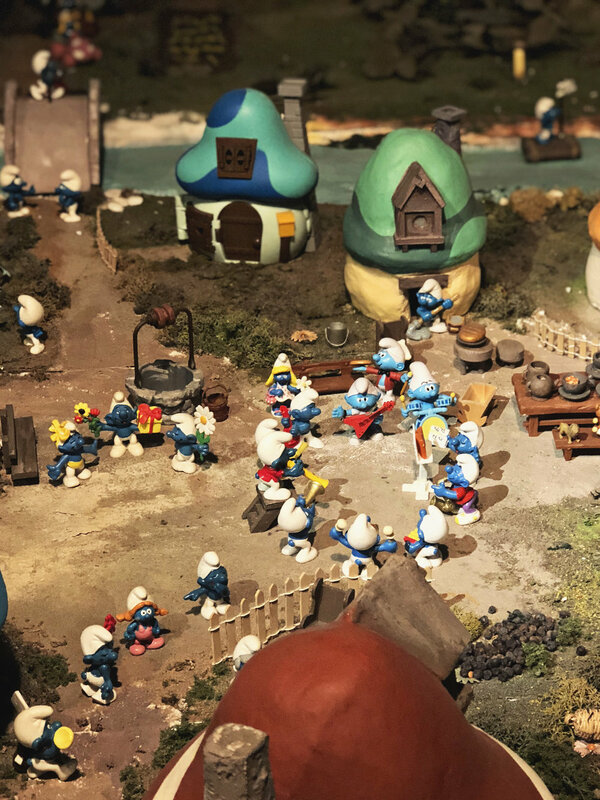 It is a beautiful homage to the comic and perfect for children and adults alike to appreciate all the detail that goes into these mini works of art. 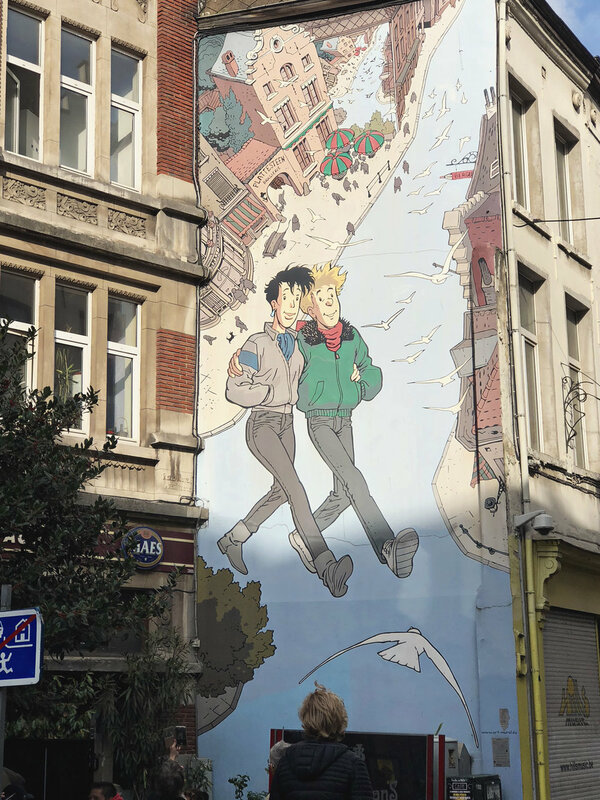 You can then pick up a map and discover the city by searching for some of the fifty plus comic strips 10 metres high on the side of buildings all over the city. We set off and found a fair few but stopped as little legs were aching by now. To finish up a day of over indulgent food we headed for Belgian meatballs at Ballekes, which were delicious, with a few more Belgian frites on the side. 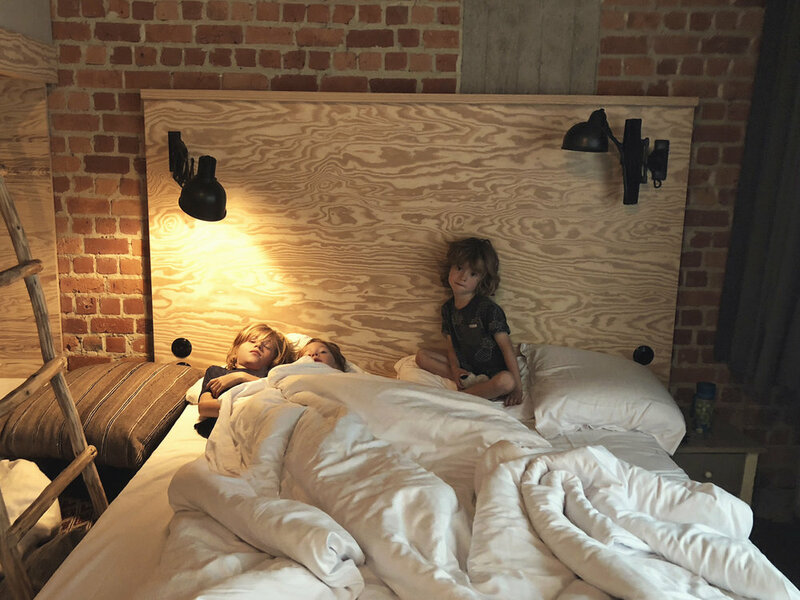 Then on for our nights stay at Jam Hotel which deserves a whole post of its own; cheap as chips and super stylish complete with a rooftop pool, 2 bars, a restaurant and underground games room.